That was my case last week. 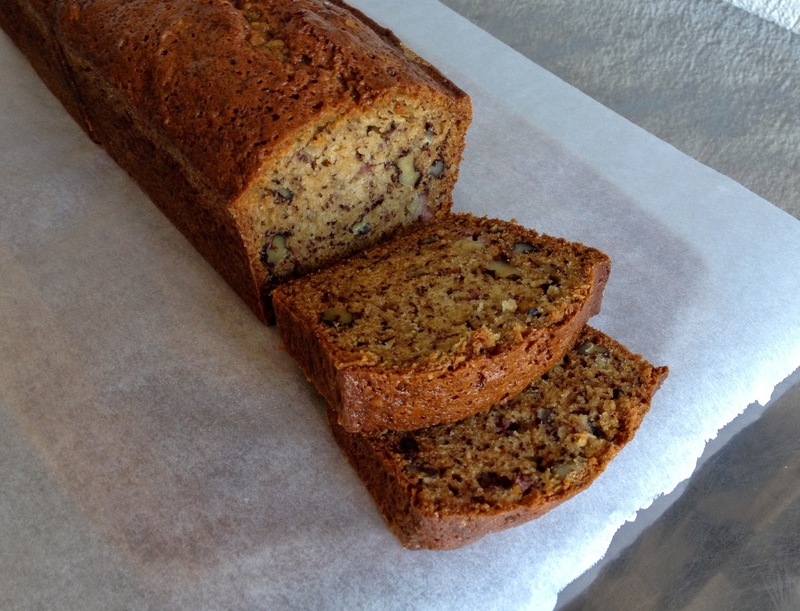 I received a baking book called “Flour” from the so-called bakery in Boston and went on to try their famous banana bread recipe. 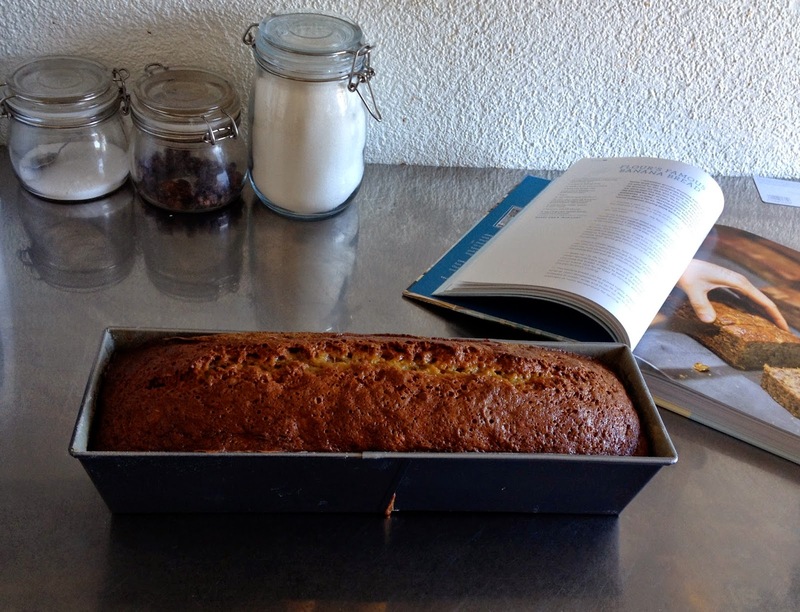 The cake was dangerously easy to make and especially easy to eat… it is too good! 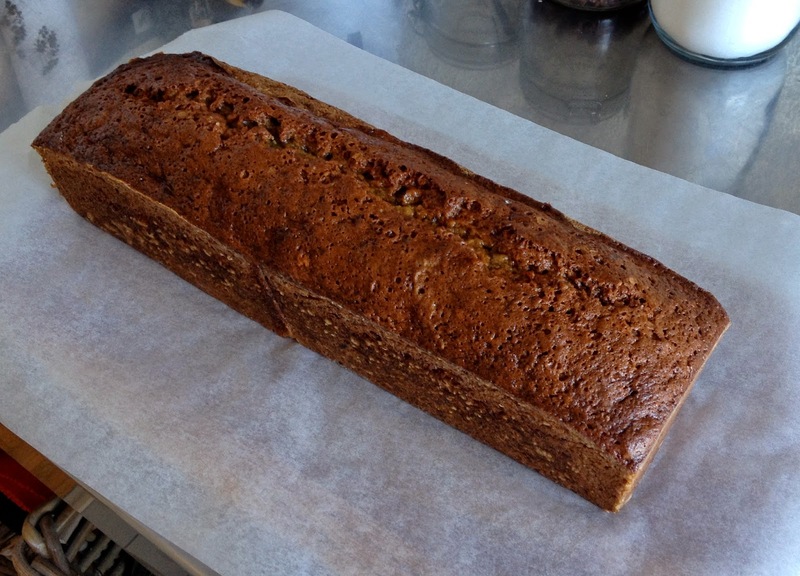 In fact I liked the banana cake (or rather “bread”) so much that I bought more bananas this week, let them ripen and then made a bigger banana bread (I increased ingredients by 50% and made a 36cm long cake) that I then shared on the train with my friends on our way to Tours! In a big bowl beat sugar and eggs together until obtaining a fluffy white mixture. 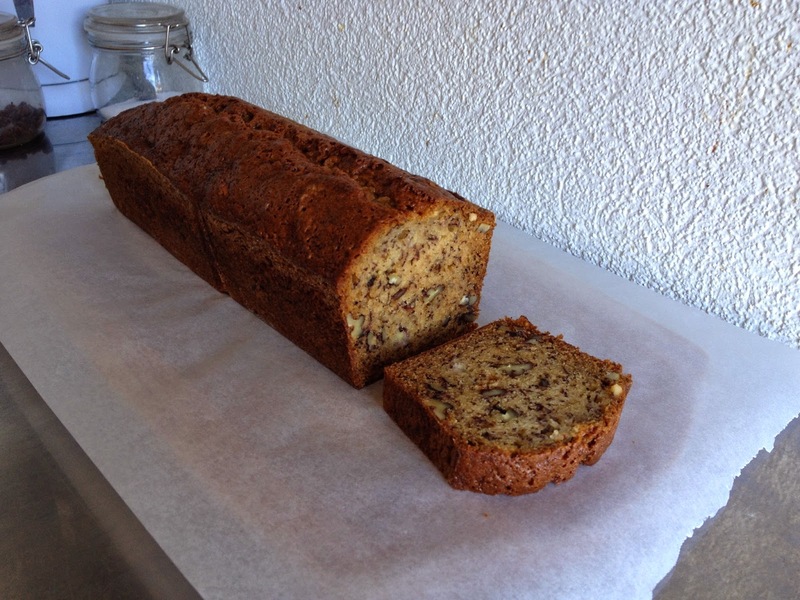 While mixing on low speed, add colza oil as a drizzle. 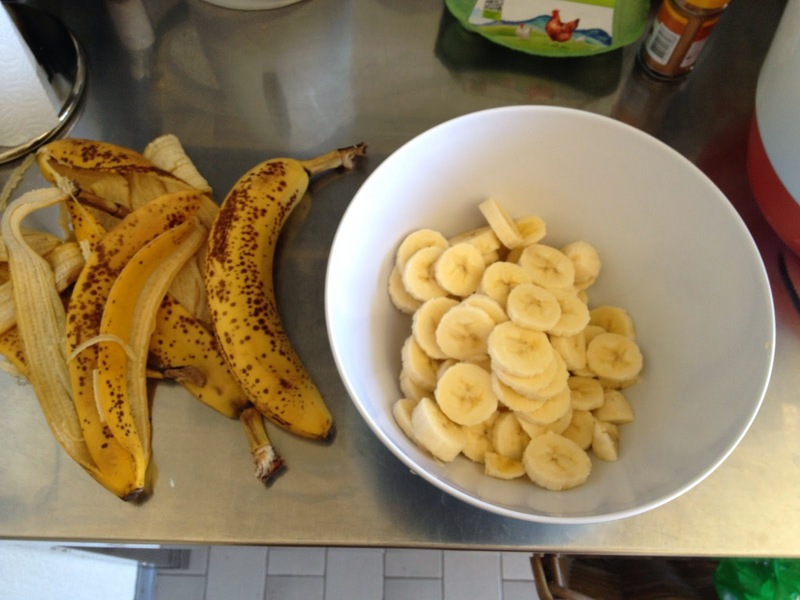 Add bananas, cream and vanilla extract and mix until incorporated. In a small bowl mix dry ingredients (except for sugar). Add dry ingredients and nuts to the wet mix and slowly mix until roughly incorporated. 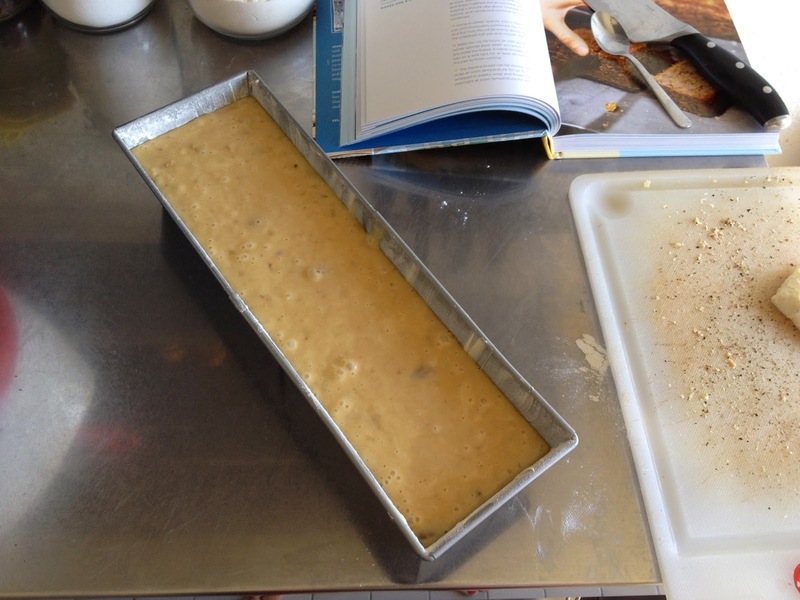 Transfer to a buttered and floured 24cm long cake pan. Bake 1hr at 160C and another 5-10 min at 180C.